Colombo, December 3 (newsin.asia): The Sri Lankan Court of Appeal on Monday passed an interim order preventing Mahinda Rajapaksa and his 49-member purported Council of Ministers from functioning till the Quo Warranto petition filed by 122 Members of Parliament is adjudicated. Later, Rajapaksa issued a statement saying that he will appeal to the Supreme Court against the stay on the grounds that constitutional issues of this sort can be heard only by the Supreme Court. In another development on the same day, President Sirisena told supporters of sacked Prime Minister Ranil Wickremesinghe in parliament that he will never appoint him as Prime Minister, signaling the continuation of the political deadlock. 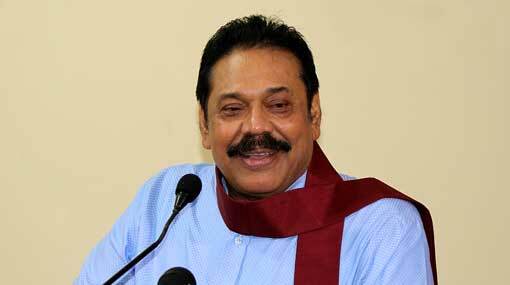 The Court of Appeal had issued notices to Rajapaksa and his ministerial colleagues returnable on December 12. The petitioners were MPs of United National Party, Tamil National Alliance, Janatha Vimukthi Peramuna, Sri Lanka Muslim Congress and several other parties. They filed this petition naming 49 persons including Prime Minister Mahinda Rajapaksa, members of Cabinet Ministers and Deputy Ministers as respondents. They stated that on November 14, 2018, Parliament passed a vote of No-Confidence against the purported government of the Respondents. They further stated that on November 16, Parliament passed another Vote of No-Confidence against the Government. They maintained that in terms of Article 48 of the Constitution, the Cabinet stood dissolved from November 14, 2018. According to leading lawyer, J.C.Weliamuna, the President of Sri Lanka Maithripala Sirisena must now appoint a new Prime Minister and a new Council of Ministers. As of now, Ranil Wickremesinghe, who enjoys majority support in Parliament is the obvious choice for the Premiership. MPs of the United National Front, the Tamil National Alliance and other parties who met the President late in the evening on Monday, insisted that he appoint Wickremesinghe as he was indisputably their leader. But the President flatly refused saying that he will not appoint Wickremesinghe even if all the 225 signed a petition in his favor, said the United National Party (UNP) stalwart Lakshman Kiriella. In fact, President Sirisena had said more than once that he will never appoint Wickremesinghe. Wickremesinghe is the leader of the single largest party in parliament – the United National Front. He also has the support of the 14-member Tamil National Alliance (TNA) and the 6 member Janatha Vimukthi Peramuna (JVP). He has an overall strength of 122 MPs in a House 225 members. He had proved majority support on two occasions in the recent past, when his group successfully moved two Motions of No Confidence against Rajapaksa on November 14 and 16. Mahinda Rajapaksa, whose functioning as Prime Minister was stayed by the Court of Appeal pending the disposal of a petition filed by 122 Members of Parliament on Monday, has said that he will challenge the stay in the Supreme Court on Tuesday on the grounds that in Constitutional matters, only the Supreme Court is competent to adjudicate.